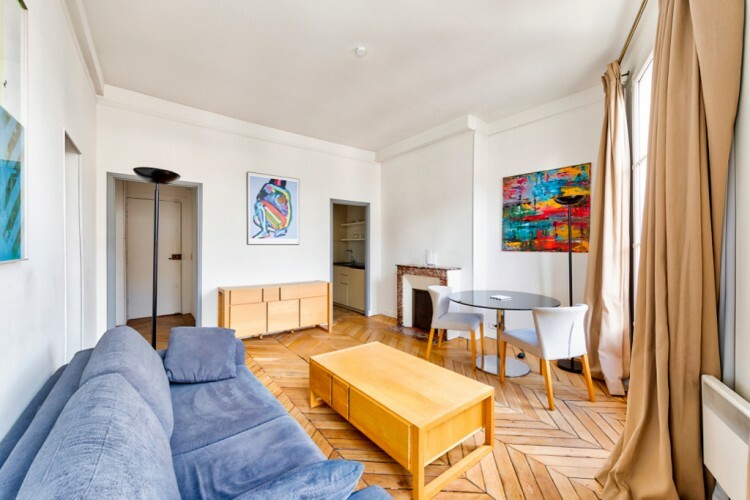 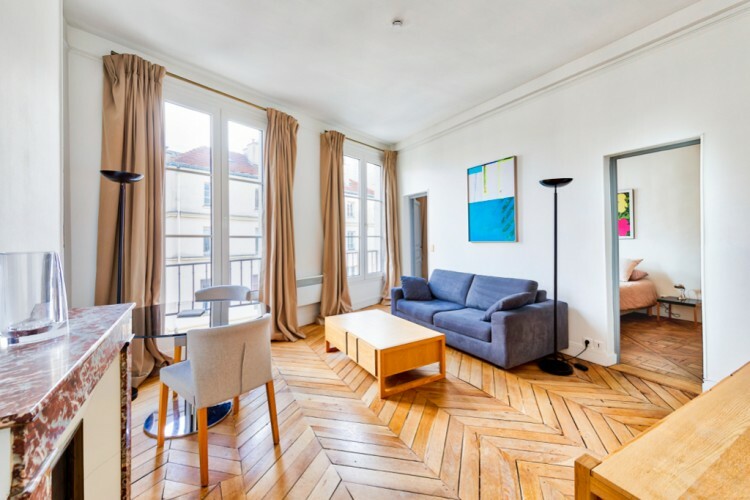 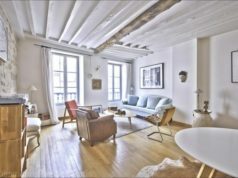 Tucked away in the Marais, renowned for its cafés, galleries and shopping, this one-bedroom apartment has everything you could wish for in a classic Parisian property. 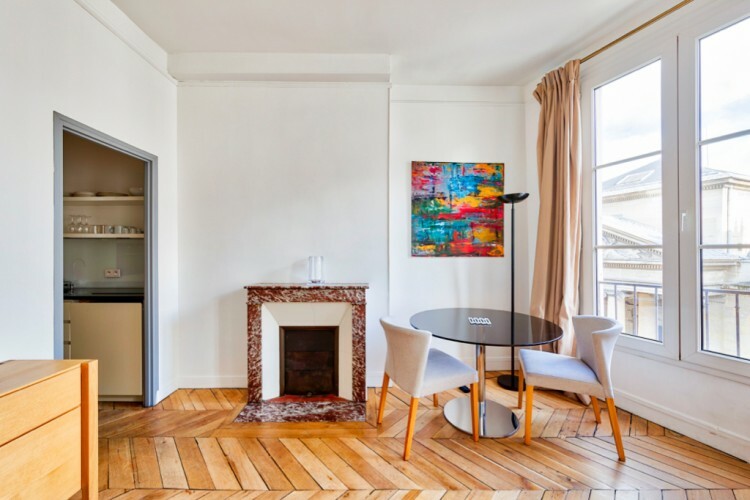 Brimming with charm, the apartment’s historic features including high ceilings, large windows, parquet flooring and a marble fireplace. 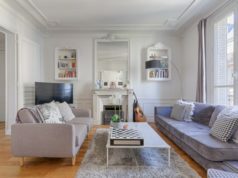 In contrast, the contemporary decor is simple, modern and stylish, giving the apartment a cosy, homely feel. 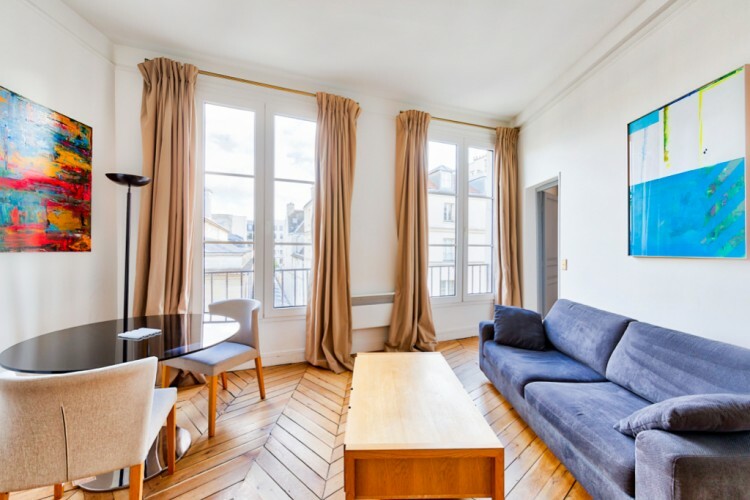 Light and bright, this third-floor property offers a lovely view over the beautiful church of Saint-Denys du Saint-Sacrement. 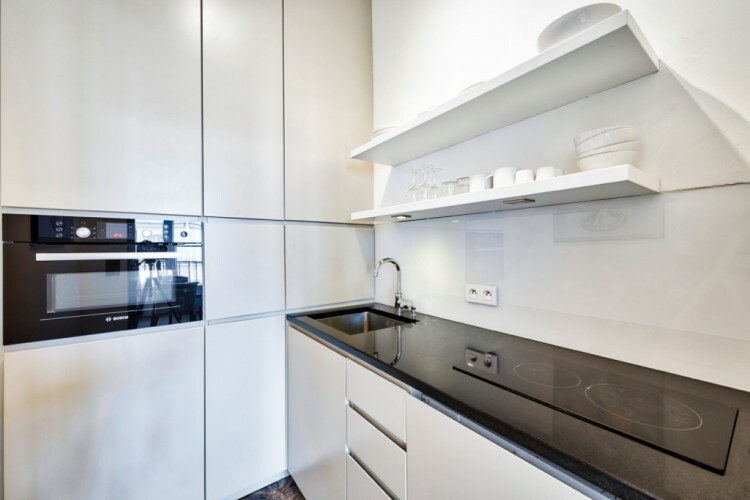 Featuring smart modern fittings, the classy kitchen is beautifully finished and the marble bathroom worthy of a hotel. 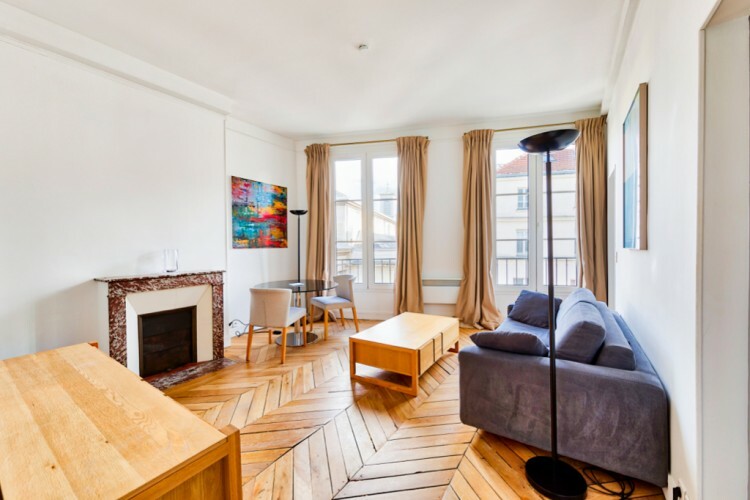 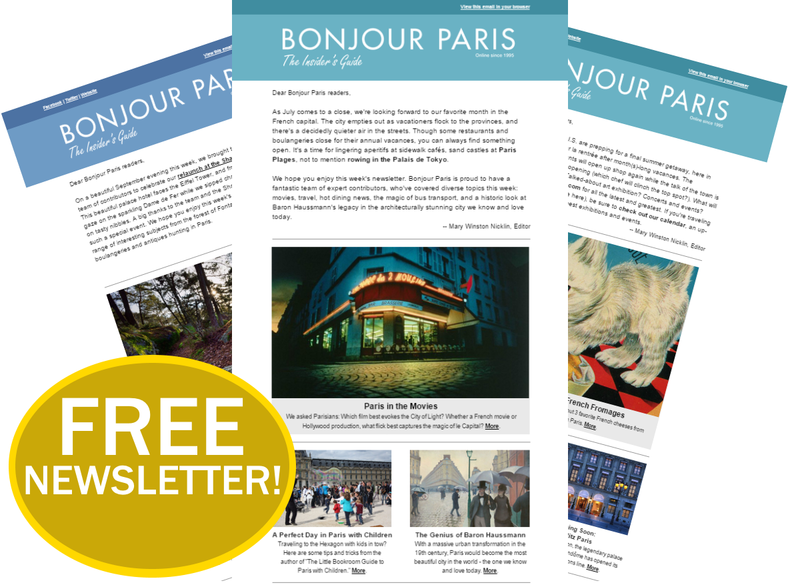 Nearby attractions include the buzzy boutiques of the Marais, the Picasso Museum and the city’s oldest planned square, Place des Vosges. 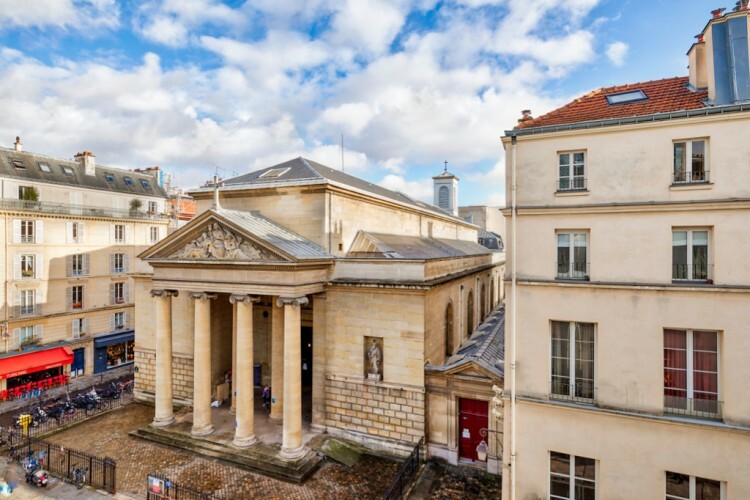 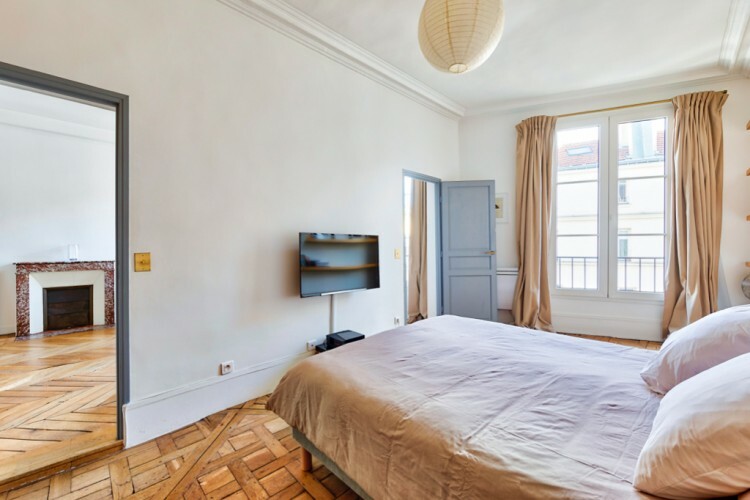 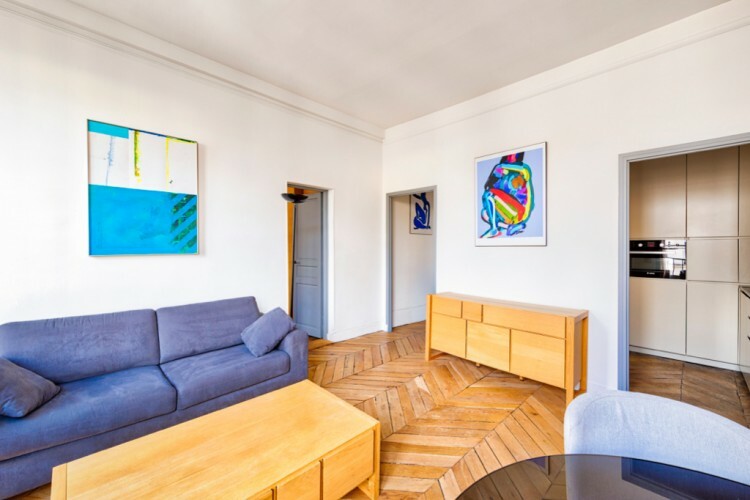 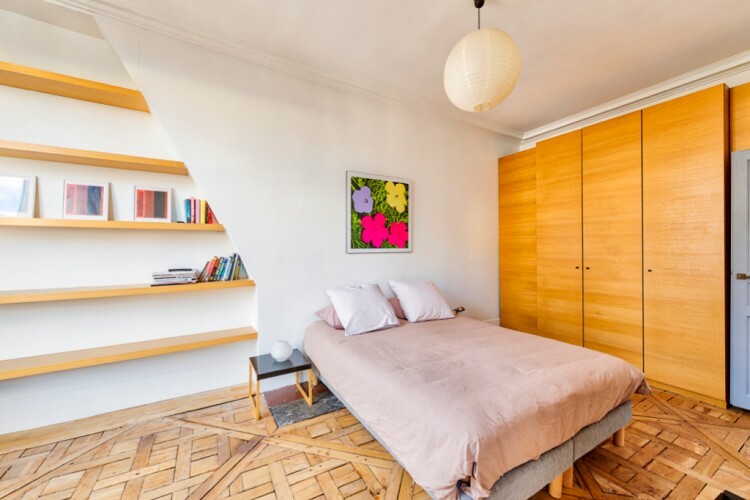 Located in a lovely street in the much in-demand 3rd arrondissement, it’s all about ‘location, location, location’ for this place.